When you went to that surgeon’s office, you had such high hopes! They may have told you everything you wanted to hear, offered a reasonable solution, and promised to give you the manly, youthful look you’ve been dreaming of for so long. Unfortunately, something went wrong in the surgery and now you are one of many cases of a botched aesthetic procedure. These things can and do happen, even to men who have been very careful about choosing a reputable surgeon. It’s a sad truth about plastic surgery; not every procedure ends up being what you hope it to be. When you are the one with a botched surgery, it’s easy to feel humiliated and betrayed by the very doctors you hoped would help you. Understandably, most people who have had a botched surgery want to get it fixed—no matter what the surgery is. In some cases, botched surgery might not be able to be fixed. The best way to ensure that you are able to correct the mistake of a former plastic surgeon is to consult someone who is experienced and talented to do it. Dr. Steinbrech is one of New York City’s leading plastic surgeons specializing in Male Plastic Surgery and is regularly featured in academics and media as a thought leader in his field. 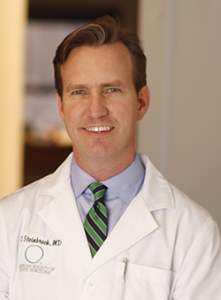 Very few, if any, other doctors have as much experience in the field of Male Plastic Surgery as Dr. Steinbrech. Whether it was a gynecomastia gone awry, or just liposuction that ended up being uneven, Dr. Steinbrech has seen it and probably also has dealt with it before. Each botched plastic surgery consult needs to be done on an individualized basis, primarily because each plastic surgery mistake will differ. In order to get your botched surgery corrected, Dr. Steinbrech will need to see you at a consultation so that he can determine what’s the best course of action for you. If you are ready to take your looks back and fix the botched procedure, click here or call: (646) 480-7750 to schedule a consultation.